Milwaukie boys and girls soccer teams hosted a doubleheader against local rival Rex Putnam October 9th drawing a large crowd supporting both schools. The boys kicked off the evening's first match with the sides finishing in a 0-0 draw. The girls were able to net goals giving their fans reason to celebrate, but neither team were able to put a winner away having to settle with a 1-1 draw. Putnam midfielder Sophia Stumpf put the Kingsmen up 1-0 in the first half with a 20 yard shot. 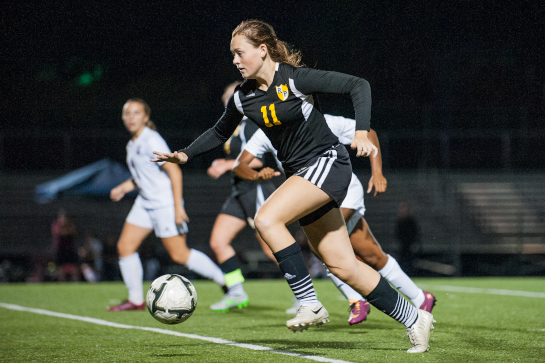 With 13 minutes to play in the second half, Milwaukie midfielder Ellie Holmes knocked in a loose ball off a free kick by Emily McCarty to even the match. 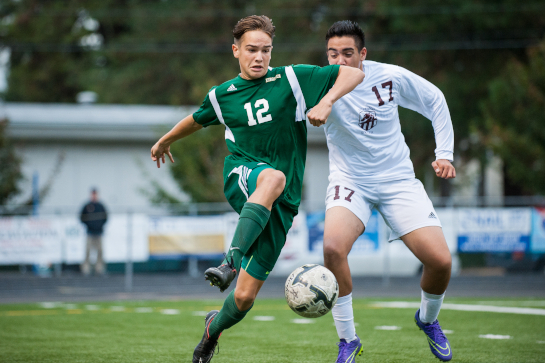 Rex Putnam midfielder Chris Taylor (12) dribbles the ball up the wing under pressure from Jerry Navarrete (17) of Milwaukie. 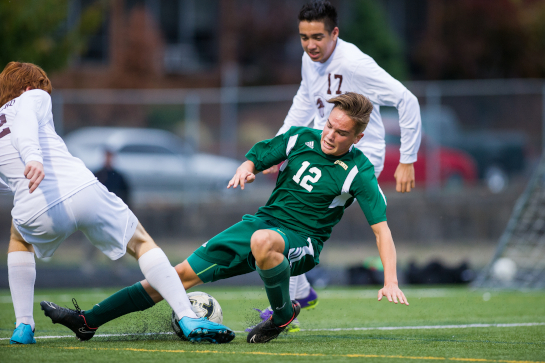 Rex Putnam midfielder Chris Taylor (12) slides for a tackle against Evan McClelland (12) of Milwaukie. 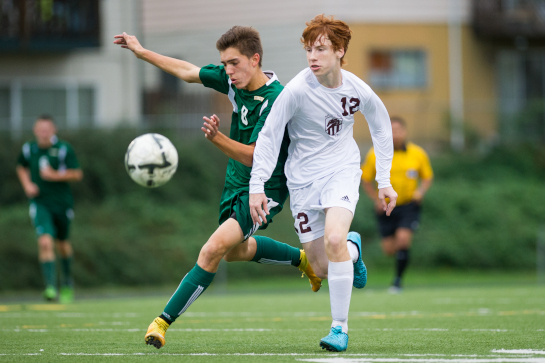 Even McClelland (12) of Milwaukie battle for a ball in midfield against Rex Putnam forward Tanner Ujifusa (8). 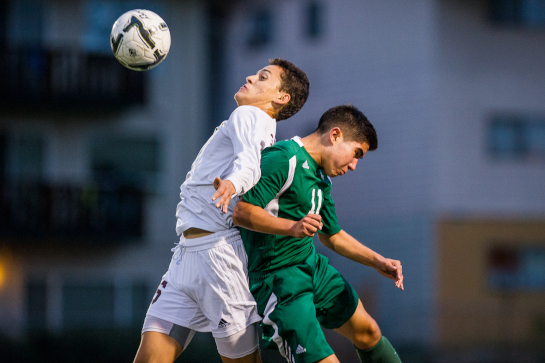 Juan Gudino (6) of Milwaukie wins an aerial challenge against Rex Putnam midfielder Emilio Rodgers (11). 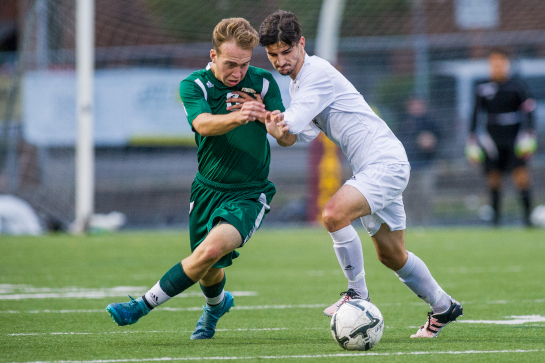 Devin Duval (7) of Milwaukie battles for a loose ball against Rex Putnam midfielder Garrett Benedict (3). 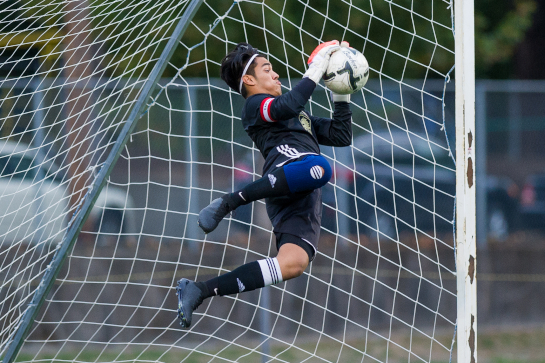 Milwaukie OSAA 5A first team all-state goalkeeper Juan De Dios Inzunza makes a diving save off a first half Putnam free kick. 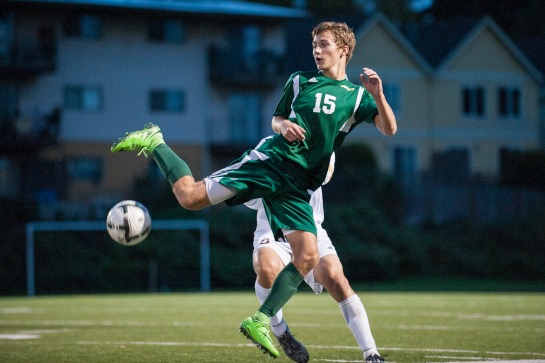 Rex Putnam defender Drew Urben (15) reaches to control the ball during the second half. Milwaukie midfielder Ellie Holmes (4) battles for a loose ball under pressure from Rex Putnam midfielder Abigail Herbert (10). 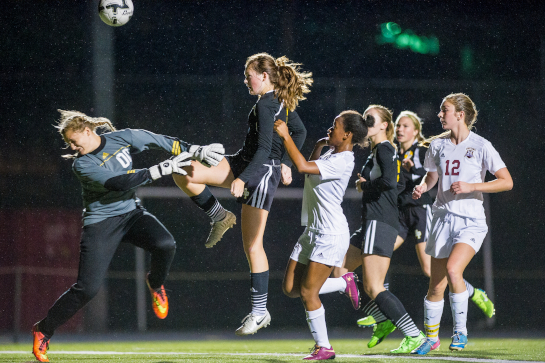 Rex Putnam midfielder Megan Spaulding (11) plays the ball over the reach of the on-rushing Milwaukie goalkeeper Celeste Levasseur (00) with the ball settling into the goal, however the play was called back due to a Rex Putnam foul. 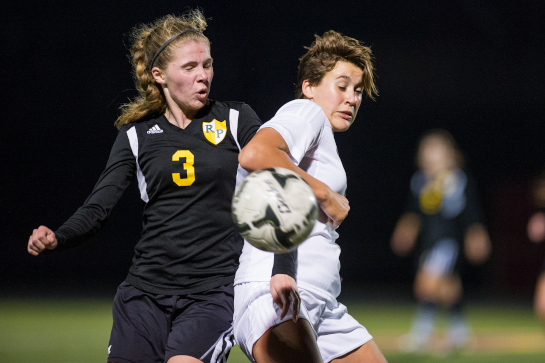 Rex Putnam midfielder Kate Potter (3) and Milwaukie forward MaKenna Presley (right) challenge for a loose ball during the second half. 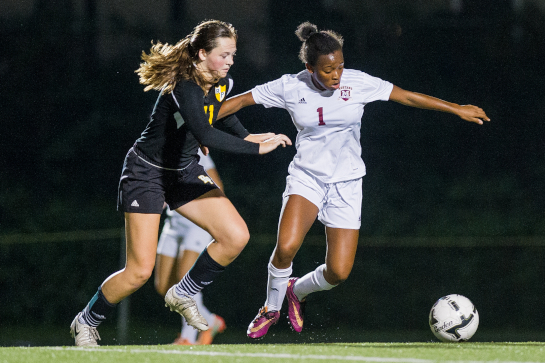 Milwaukie midfielder Noelani McGowan (1) dribbles the ball under pressure from Rex Putnam midfielder Megan Spaulding (11). 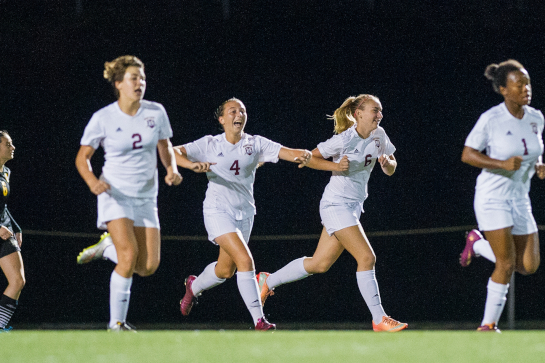 Milwaukie midfielder Ellie Holmes (4) celebrates her goal with 13:38 left in the second half to tie the match 1-1. 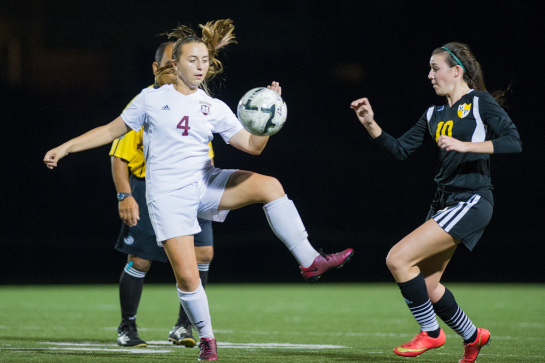 Rex Putnam midfielder Megan Spaulding (11) dribbles the ball forward during the second half.